Contract assembly of the Jaguar I-Pace, shown, boosted Magna's earnings. Magna International said fourth-quarter sales gained 4.6 percent to a record $10.1 billion on the strength of contract car assembly, but pre-tax income fell 21 percent to $607 million as the company continued to ramp up investments in electric and autonomous vehicles. Magna’s net income for the quarter was $456 million, down 18 percent over the same quarter last year, the Canada-based supplier said in statement on Friday. Magna in the fourth quarter benefited from new launches by automakers Jaguar Land Rover and Mercedes-Benz. 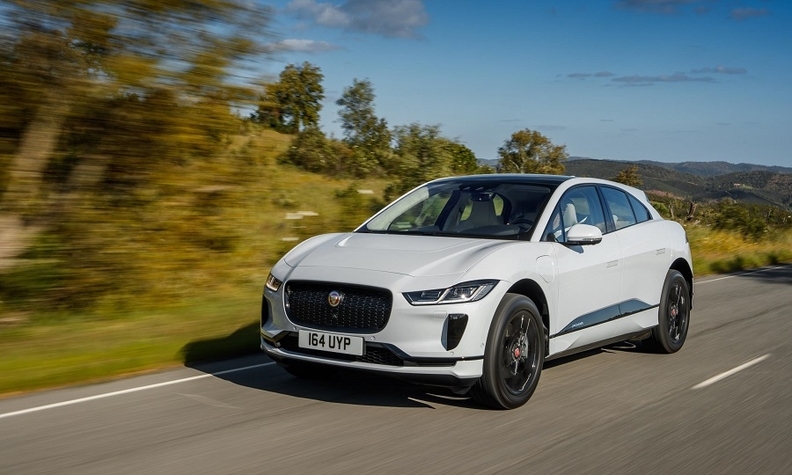 The supplier's Magna Steyr unit builds the Jaguar I-Pace and E-Pace models and Mercedes G class at its factory in Graz, Austria, along with BMW 5-series models, and the BMW Z4 and Toyota Supra sibling roadsters, according to the Automotive News Europe Guide to European Assembly Plants. Sales at Magna’s complete-vehicles unit rose 39 percent to $1.69 billion, with assembly volumes rising 35 percent in the quarter to 36,600 units. The world’s third-biggest auto supplier by sales is betting on the fast-growing electric and self-driving vehicles market where suppliers plan to spend $300 billion to bring electric cars to the mass market over the next decade. The company said sales at its power and vision division, which also provides parts, such as cameras, for electric and self-driving vehicles, rose just about 1 percent. In a statement, Magna said lower margins in its power and vision segment were mainly associated with increased spending for electrification and autonomy, higher launch costs, a decline in equity income largely due to lower earnings at Getrag's joint-ventures in China and higher warranty expense. The company partnered with ride-hailing company Lyft last March, to co-develop hardware and software for self-driving cars. While its seating systems sales jumped 10 percent to $1.44 billion in the quarter, sales at its biggest unit that makes vehicles structures fell 3.6 percent to $4.18 billion in the quarter. Excluding one-time items, Magna earned $1.63 per share, ahead of consensus analyst expectation of $1.59 per share, according to IBES data from Refinitiv. Magna shares rose 3.7 percent to $54.55 in early trading on Friday. The company also said it bumped up its quarterly dividend 11 percent to 36.5 cents per share. For all of 2018, Magna said net income improved 4.5 percent to $2.3 billion while total revenue increased 12 percent to a record $40.8 billion. “We posted a number of records in 2018 including sales that surpassed $40 billion, earnings and free cash flow generation," CEO Don Walker said in a statement. "We also continued to optimize our product portfolio and to enhance value for shareholders with the announced divestiture of our Fluid Pressure and Controls business, as well as investments in smaller technology-oriented businesses." The company stuck with its current forecast for 2019, assuming North American production of 17 million light vehicles. Magna is projecting annual sales this year between $40.2 billion and $42.4 billion. It expects stable net income ranging from $2.1 billion to $2.3 billion. Meanwhile, during Magna’s fourth quarter conference call Friday, Walker downplayed previous comments that the company’s contract assembly subsidiary, Magna Steyr, was considering a move into North America, possibly at General Motors Oshawa, Ont. plant, slated for closure at the end of the year. “There’s been a lot of speculation on that. But there’s no plans to expand at the current time,” he said. “There continue to be articles about us doing things. But we have no plans at this time."